TCI Boost Valves replace stock in all 700R4 and 2004R applications. 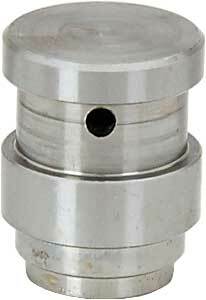 The boost valve increases clamping forces generated by higher line pressure. The 890-374301 is best suited for applications stock to 450 HP. The 890-374401 is best for applications exceeding 450 HP (best when used with Low Rev Boost Valve 890-374410, which provides the added line pressure needed when making BIG horsepower). Does TCI 374301 fit your vehicle?